When you fill out this form you are signing up for the 2013 Howliday exchange. If you signup for the e-card exchange you will receive a list of email addresses of the other participants and you agree to send them an electronic card. If you sign up for the greeting card exchange you will receive a list of names and postal addresses and you agree to send a physical greeting card in the mail to all of the other participants. Before you agree to this consider that in previous years we have has as many as 60 people sign up. The vast majority of these are in the United States but there are a few international addresses every year. This year this single form will allow you to sign up for the greeting card, e-card list or both. 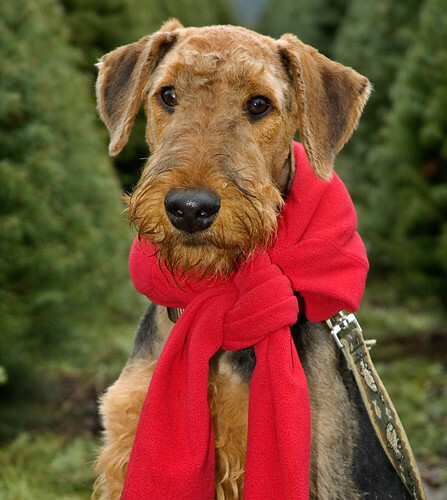 We would again like to thank The AireCanada Airedale Rescue Network for the use of their website to host the exchange and all the good work they do year round. The list is now closed for 2013.